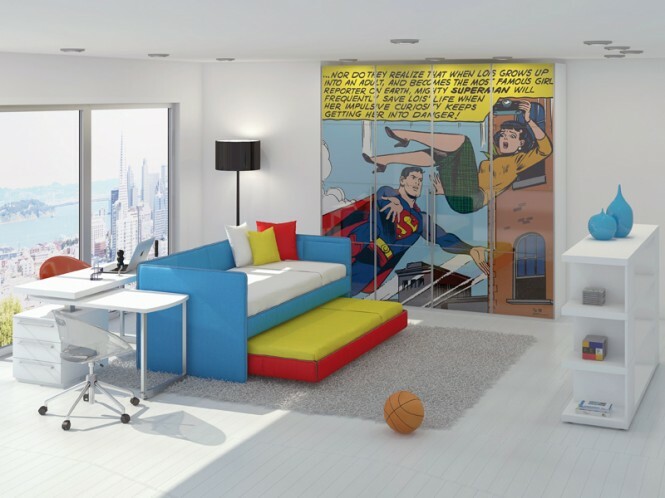 Have you ever wanted to jazz up your kid's room, incorporating their favorite characters without going to the extremity of having a wall mural painted? 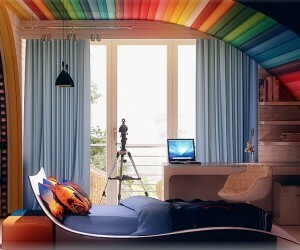 Curtains and bed linen is a good start but could lack the impact of a wall piece. A perfect solution is in statement posters and furniture application, like these implemented by Cia International, they're bright and bold so the kids will love them! 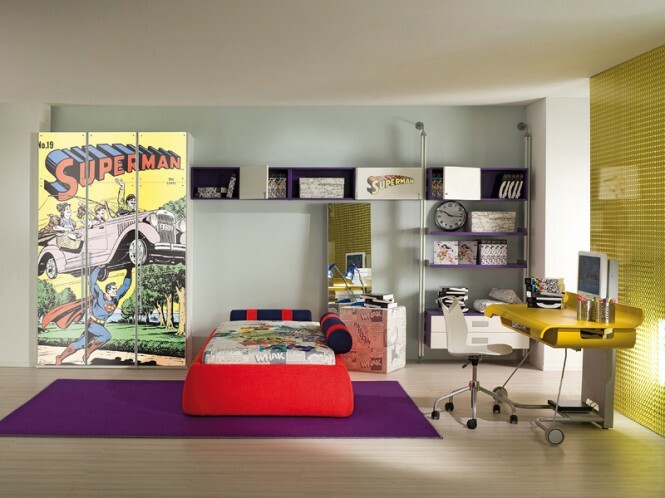 Cia International have used DC Comics superheroes, the hugely popular Hello Kitty brand, and more in creating fun spaces for children to sleep, play and study. 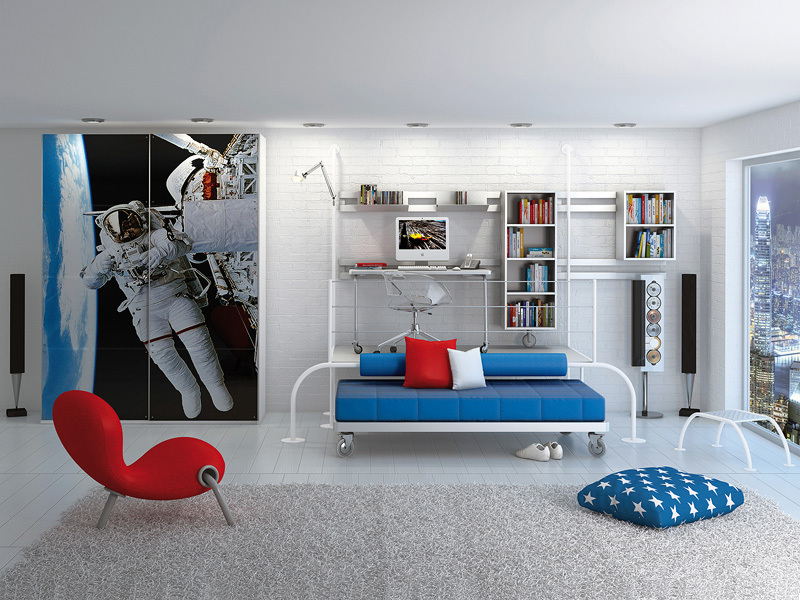 Here we see the artwork used around cubbyholes and adorning wardrobe doors, creating exciting visual interest over an often wasted expanse of space. 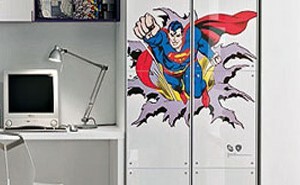 The posters are held behind Perspex panels to keep them clean, intact, and best of all, interchangeable. 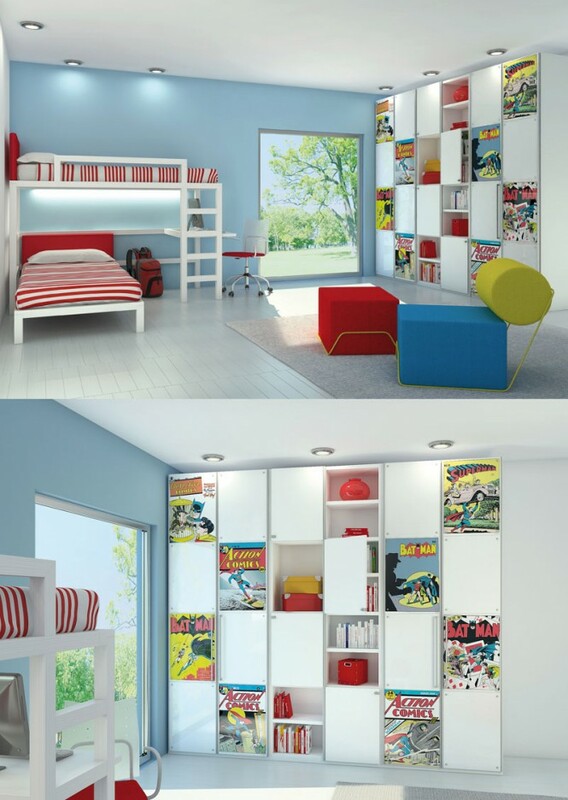 You could thread the character theme all the way through your child's room like in these examples of Hello Kitty décor, which include furniture such as cat shaped headboards and dressing table mirrors; we love the idea of hanging matching character prints from peg rails around the room though, which keep the theme super easy to change out later!